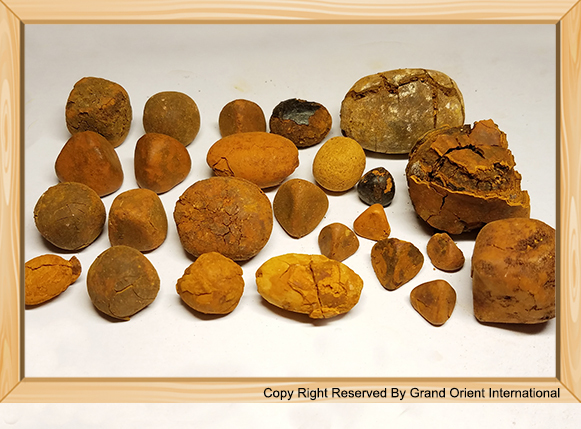 Ox gallstones also known as calculus bovis, bovine gallstones, bezoar, niu huang, cattle gallstones or cow gallstones. It mainly found in the bovine gallbladder, sometimes can found in the bovine bile duct, bile vessel or around the bovine liver area. Bovine family has different types in different countries or regions. It mainly includes cattle, cow, oxen, bull, buffalo, bison, yak, gaur, etc. some are looks rough, with verrucous protrusions; And some with the turtle crack surface. brown, orange brown or dark brown close to brownish black. mostly are in shape of oval, spherical, triangle or square etc. the diameter are range from 0.6 to 4.5 cm, sometimes, can beyond 4.5 cm. light weight, fragile, crisp, outer layer easy to fall off. 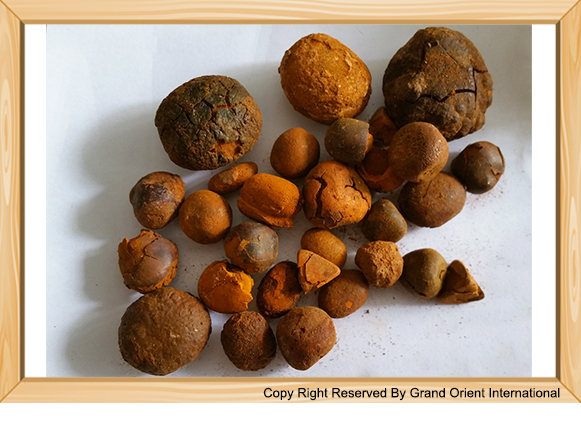 Ox gallstone is a precious pharmaceutical raw material for the Traditional Chinese Medicine (TCM). 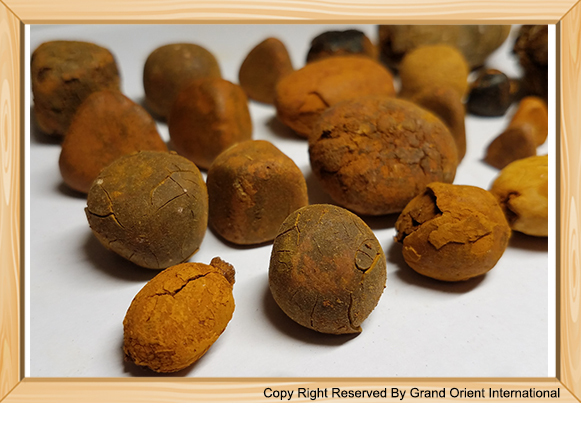 Thanks to its sedative, anti-inflammatory and antipyretic properties, ox gallstone is the effective pharmaceutical raw material for the treatment of stroke, persistent fever, etc.